Chewy peanut butter cookies with milk chocolate kisses. These Peanut Butter Blossoms are a classic Christmas cookie recipe that our family has been making for decades. 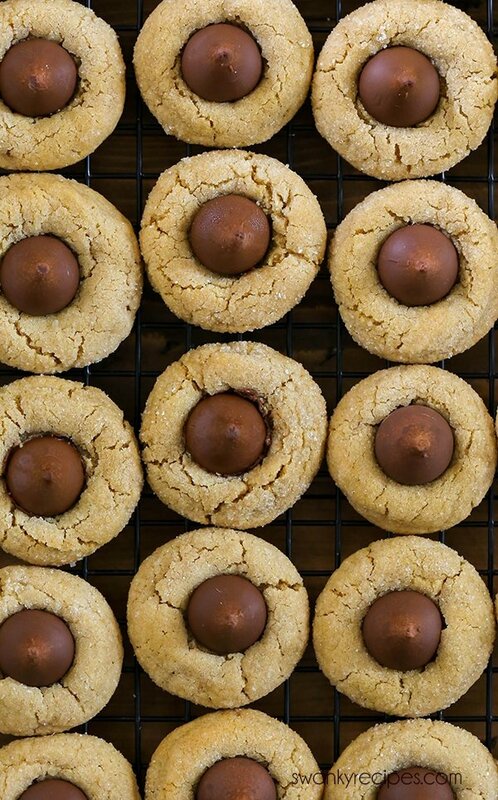 You’ll always find these peanut butter blossom cookies on a cookie tray or in a Christmas cookie exchange package. The best Peanut Butter Blossoms are soft and chewy and just melt in your mouth. These cookies are among my all-time favorite Christmas cookie and make the list every year. Also among my favorite are these Pecan Snowballs. Making Christmas cookies takes me back to baking in the kitchen with my mom. We’d bake dozens and dozens of cookies starting after Thanksgiving for the many Christmas parties my parents would host at their house starting in December. Every year, we’d make a variety of classic Christmas cookie recipes. 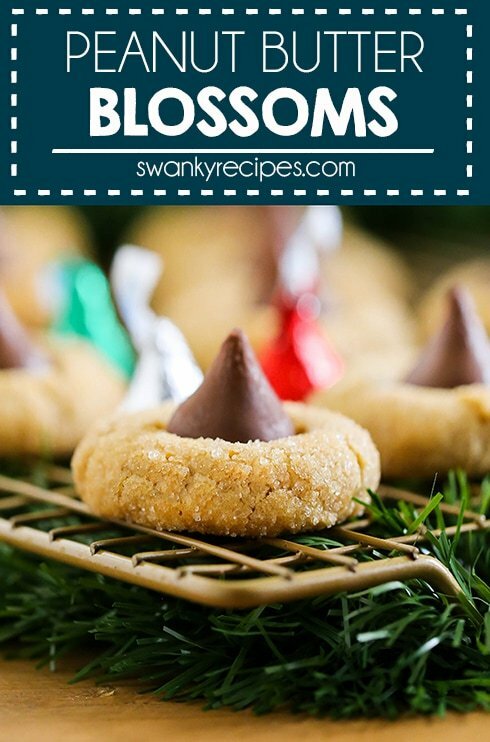 My favorites were always the holiday sugar cookies with icing and these easy Peanut Butter Blossom cookies. Over the years, I’ve shared a small amount of our classic Christmas recipes. It’s going to take me years to cover all the traditional recipes we’d make plus modern holiday recipes I’ve put my own twist on. While these cookies are just the second Christmas cookie recipe of the season on my blog, I’ll be sharing at least another dozen recipes before the season is over so be sure to follow along all through December. Every year, I always come back to tried and true holiday recipes to make for friends and family holiday parties. These Peanut Butter Blossoms always make an appearance because they are easy to make and everyone has had them before. I think we all grew up with these peanut butter cookies with chocolate kisses which is why we always come back year and year to make them again. As I’ve gotten older, I prefer a lot of my cookies to be chewy and these chewy peanut butter cookies do not disappoint. The touch of milk chocolate candies in each bite with sugary and salty peanut butter is the perfect combination. I can pop these cookies into my mouth like no other! The holidays are a great time to get together with family and friends and bake holiday recipes. It’s all about spending time with family and making memories. Since I moved across the country 5 years ago and relocated to Louisiana from Wisconsin, I get all these nostalgic feelings about the holiday season. My favorite thing to do this time of year is to bake. It reminds me that no matter how far away from home I am, that home is right here with me — even if it’s only me in the kitchen, I always find happiness taking part in our family tradition. 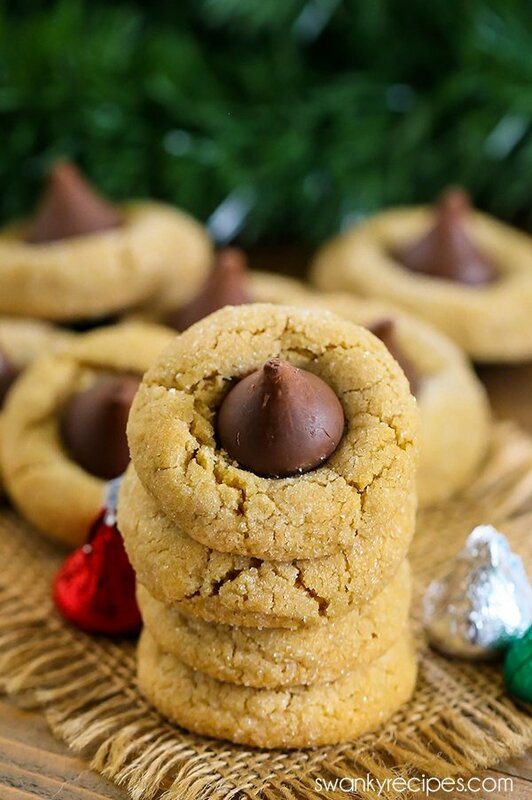 If you’re looking for a classic peanut butter cookie this Christmas holiday season, you can’t go wrong with Peanut Butter Blossoms. These cookies are sweet, buttery, nutty, and have a milk chocolate kiss that just melts in your mouth. Plus, Peanut Butter Blossoms are so easy to make and everyone loves them! Chewy peanut butter cookies with milk chocolate kisses. These Peanut Butter Blossoms are a classic Christmas cookie recipe that our family has been making for decades. You'll always find these peanut butter blossom cookies on a cookie tray or in a Christmas cookie exchange package. 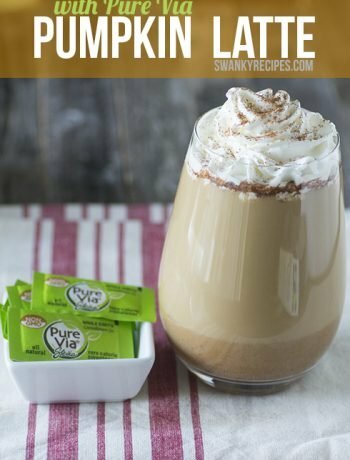 1/2 tablespoon vanilla extract use 2 teaspoons if you'd like. In a medium bowl, whisk together all-purpose flour, cornstarch, salt, and baking soda; set aside. In a bowl fit with a mixer, cream butter, peanut butter, granulated sugar, and brown sugar; about 5 minutes on medium high. Beat in eggs, one at a time. Beat in milk, and vanilla extract until combined; about 2 minutes. Slowly beat flour mixture into wet ingredients. Mix just until incorporated. Cover bowl and refrigerate for 5 hours or overnight. Using a cookie scoop ( I used 3/4 tablespoon scoop ) scoop dough. Roll into ball then roll into a bowl with granulated sugar. Place on baking sheet. Bake in oven for 8 minutes. Remove and place chocolate kiss in center of cookie. Return to oven for 3 minutes. Allow cookies to cool then transfer to a cooling rack. Store in an airtight container once cool. Love these cookies. But what I do not understand is why the kiss is added after the cookie is baked. I add them before. Hershey kisses don’t melt when baked. I really enjoyed reading this post – such sweet memories of baking with your mom, and now the way that baking holiday cookies helps you feel closer to home. Cookies really are like that, aren’t they?!? Such a simple thing but so meaningful and rich in tradition! I have to thank you – as I read this, I remembered that peanut butter blossoms are one of my husband’s faves (’cause yep, you’re right – we all did grow up with them, huh?! 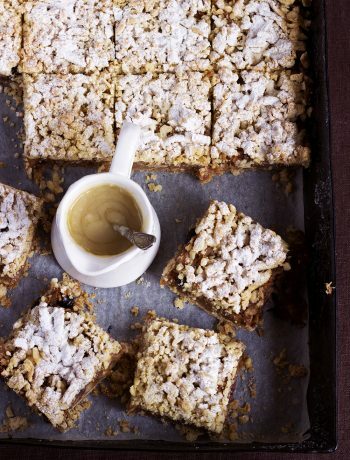 ), yet I don’t really have a go-to recipe for making these. *WifeFail* Thanks for bailing me out LOL! You know I’m pinning these! Thanks bunches, and merry, merry Christmas to you! Shelley, thank you for your beautiful and kind comment. I just lost my dog on Friday and I’ve been taking a break from blogging. Your comment really touched me in a time of need. Have a Merry Christmas! These cookies are EVERYTHING! Especially when they are warm from the oven and the kiss is melted and gooey as you eat it! Baking certain cookies does bring back memories for sure. Thank you for sharing! Oh, these look so good. I love peanut butter anything and these are so pretty. 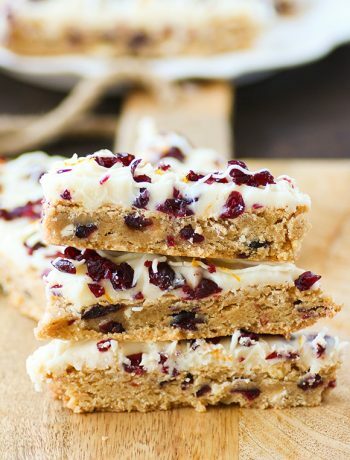 Would be perfect to give as holiday treats as well. Can’t wait to try. These cookies look like total perfection! I love that sugar coating the base of the blossom!! YUM! Peanut butter blossoms are so pretty and festive! They just look like you put in a little more effort in a good way!!! I love them! Oh, these are so cute! I love anything with peanut butter and chocolate so these are right up my street. Will have to make them over the holidays. What great memories – thank you for sharing! Blossom cookies are always a holiday home tradition! these look absolutely beautiful! I love the flavor combination of the peanut butter and chocolate! These would make gorgeous Christmas gifts! Such beautiful peanut butter blossoms. 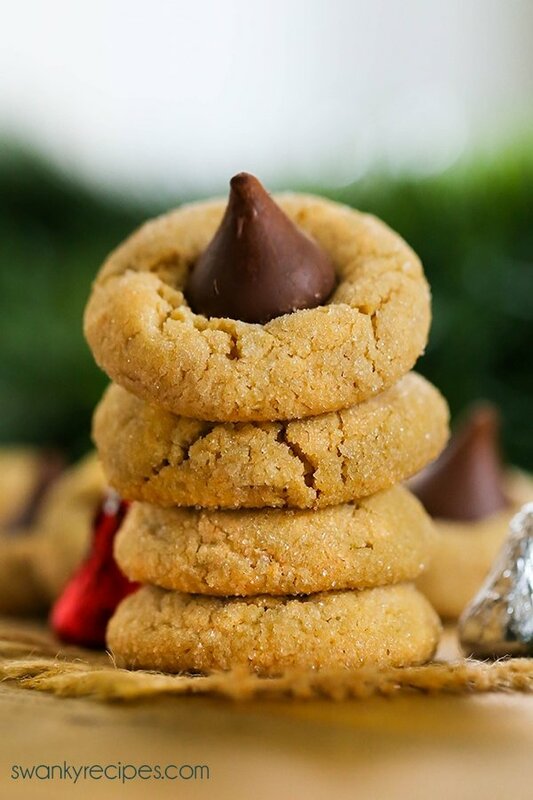 Peanut butter and kisses are like match made in heaven, they are so good together, Love this! 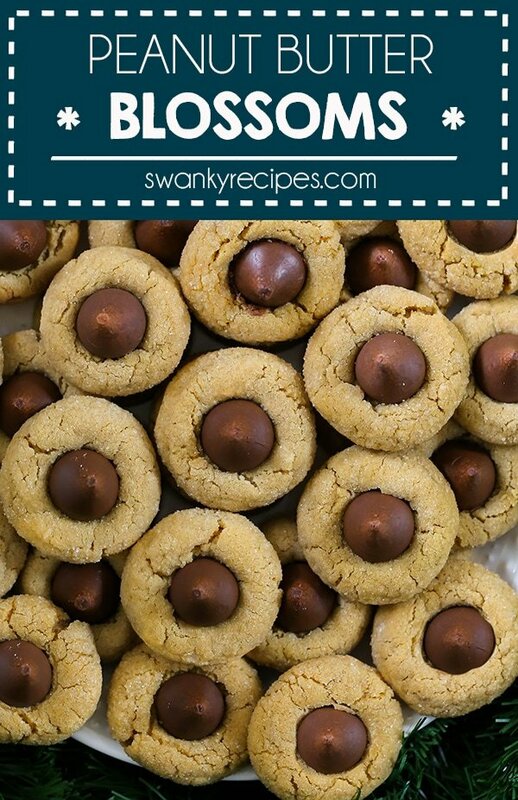 What a delicious combo here, peanut butter and chocolate, these look so cute and delicious!